Start your engines! Thomas the Tank Engine invites little engineers to team up with him for a day of family fun at Day Out with Thomas: The Ready, Set, Go Tour 2016. Children everywhere can join Team Thomas when the #1 Engine pulls into Tennessee Valley Railroad Museum on April 23, 24, 30, May 1 & 7 . 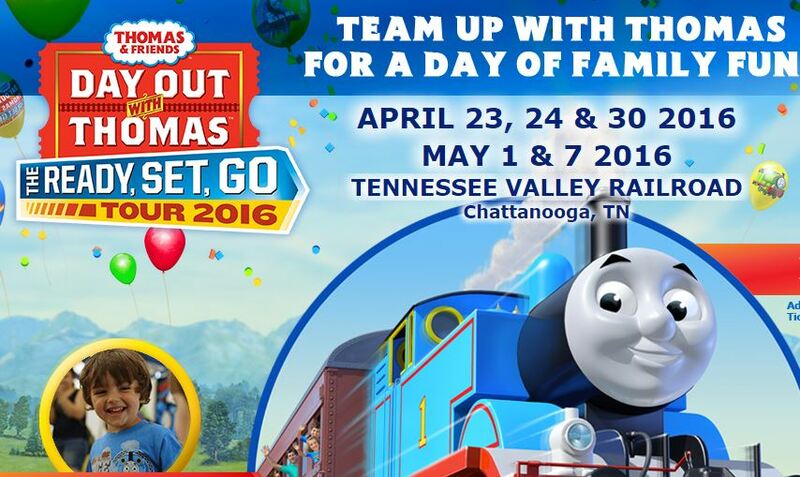 Day Out with Thomas: The Ready, Set, Go Tour 2016 is presented by Fisher-Price. What can you expect from A Day Out with Thomas 2016? Specific activities vary from venue to venue. But do expect to make a day of it! A Day out with Thomas is more than just a train ride! We usually spend 3 to 4 hours at the DOWT events. This is our first year going to Chattanooga to see Thomas so I can’t wait to report back on what all they offer at their events! This is the third year that Thomas is able to TALK to his friends at A Day Out With Thomas! It’s such a wonderful addition that the kids won’t forget! Plus, you can see more videos from Day Out with Thomas on my YouTube channel here. TIME: Departure times begin at 9 am through 6:30 pm each Saturday and 10 am through 5:30 each Sunday of the event. Are you ready to WIN some tickets?? If you would like to see Thomas too, I have four tickets for Saturday, April 30. These tickets are good only for The Day Out With Thomas at Tennessee Valley Railroad in Chattanooga, TN. Tickets are for the 9am train ride, giving you plenty of time to enjoy the rest of the activities after your train ride! Please arrive early enough to pick up your tickets from Will Call before your train boarding time. Please note again that this giveaway is for four tickets to A Day Out With Thomas at Tennessee Valley Railroad, on April 30, 2016. These tickets cannot be changed. Winner will be notified within 24 hours of the end of the giveaway (end date is 11:59 PM cst on April 7th) by email used to enter and given 24 hours to claim their prize or a new winner will be chosen. Tickets will be left at Will Call at the event. Ready for the giveaway? Enter using the form below! Want to go ahead and secure your tickets or find additional locations and dates? That information can be found at the very end of the post…keep scrolling. Giveaway ends 4/7/16 at 11:59pm cst. If you have trouble viewing the form above, click HERE. 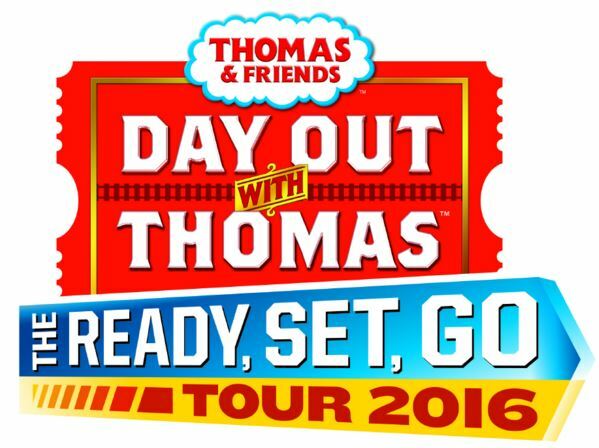 Tickets for Day Out with Thomas: The Ready, Set, Go Tour 2016 are on sale now and available by calling Ticketweb toll-free 866-468-7630, or by visiting www.ticketweb.com/dowt. Tickets start at $21 for everyone age two and over. Tickets are $4 off for groups of 20 or more when ordered together in advance. My son would love this adventure! Thanks for the chance! Previous post: Enroll Now: British Soccer Camps for Kids 3-18 coming to park near you!